HALIFAX -- Nova Scotia's premier says he's hoping fishermen end a blockade of survey boats hired to examine a route for an undersea effluent pipeline, but he has no plans to extend the company's deadline. Stephen McNeil said Thursday he'd advise fishermen to let the seismic research in the Northumberland Strait take place because it's a lawful activity. "My hope is that people will allow people to do their jobs. What they (the company) is doing is seismic work .... Then the ongoing public consultation will have to take place as to what will be or wouldn't be," the premier said after a cabinet meeting. However, he also said it's up the Northern Pulp mill near Pictou, N.S., to decide whether to call in the RCMP to end the blockade. McNeil said opponents should recognize an environmental review would allow for public debate over a proposed pipeline that would end the use of a waste-water plant located at Boat Harbour. Still, as fishermen continued a blockade of the harbour mouth they started earlier this week, the timeline for completing the pipeline before a provincially legislated deadline looked increasingly tight. 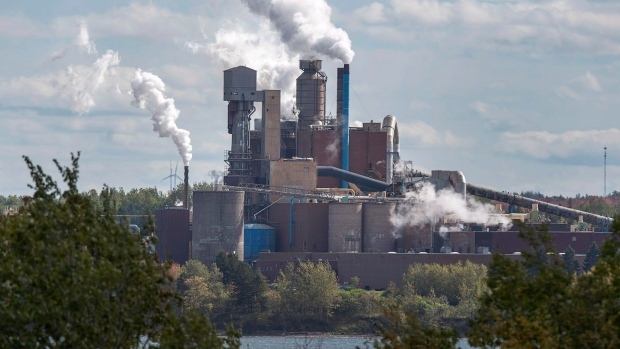 The province has a requirement of January 2020 for Northern Pulp to stop sending its waste to the First Nation territory. The normal period of time for an environmental review is close to two months, and work on a potential pipeline would need to begin during construction seasons in 2019 to be complete by early the following year. The Liberal government has vowed that after half a century of toxic waste -- with 70 million litres of treated waste daily still flowing lagoons on the edge of the Pictou Landing First Nation reserve -- Northern Pulp must find an alternative. As the weeks slip by, McNeil said it's up to the company and the community to figure out a way forward. "The timeline is tight there's no question. ... It's up to the company. The company knew the deadline. 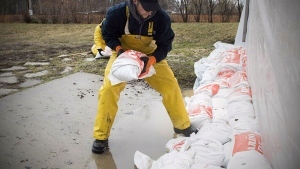 The community knows the deadline," said the premier. "We'll continue to go out and work with the community, communicate back to the community about public hearings ... There are three elected public officials in that area, they can tell me where they stand on the issue ... I've heard from none of them about it." Tory leader Tim Houston, who is one of the three members of the legislature for the area, said that wasn't true. The new Progressive Conservative leader said McNeil has forgotten he sent his office a letter calling for a more intensive level of environmental review than has been approved. Houston said he wants a level 2 environmental review, as has occurred in the planned cleanup of the Boat Harbour lagoon, rather than the level 1 set for the effluent pipeline. In a class 1 review, the proponent does a large portion of the work to determine the potential impacts of the project. After it is filed with the province, the province will review the application, give the public 30 days to voice any opinion on the project and then make a decision on whether it is approved, conditionally approved or denied. A class 2 involves a 275-day timeline that requires a full public hearing and involves a panel of external environmental experts. Houston said as it stands, the community has lost confidence in the process, and this is why fishermen are blocking the harbour. "The blockade is a byproduct of the government's failure to say it's going to properly scrutinize the project. Fishers are worried," he said. 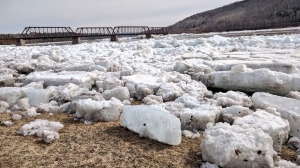 The group of Northumberland Strait fishermen have said they will block any survey boats from entering the strait by placing their own vessels in its path. Fisherman Mike Noel, one of the spokesmen for the group, said there were no boats blocking the harbour on Thursday due to rough weather, but they can respond quickly if a survey vessel tries to use the port. Noel said there are no plans to change course based on the premier's comments, as the strait's ecosystem is at stake. "He (Stephen McNeil) hasn't had any conversation with us, so no, we have no thoughts to stop anyway until we have some conversation with the government anyway," he said. A spokesperson for Paper Excellence Canada, the Richmond, B.C., company which owns the pulp mill, has said the survey data would be of interest to various parties, and that it will work with authorities to ensure the safety of all involved. The company has stated publicly a number of times that there are no other viable options than an undersea pipeline for large mills like the one it operates, and said it believes the treated effluent would not damage the fisheries in the strait. Paper Excellence has also said the mill and its 300 employees will be out of work unless it can build a pipeline to the strait.